Hello! I’m Jake Bramante and I live in Kalispell, MT which is located a few miles from the Park’s west entrance. In 2011, I became the first person to hike all of Glacier National Park’s 734 miles of trails, taking 3 pairs of shoes, 5 months and 1,200 miles to accomplish this goal. After blogging about my experience and having tons of people email me, I realized that, even with all of the maps and books out there, it was still really difficult to know where to hike. You may be able to find trails to match your ability, but which hike was better? To answer that question, I created a unique day hike map that combined a sweet topographical map with a guide and a list that was ranked by my order of recommendation. 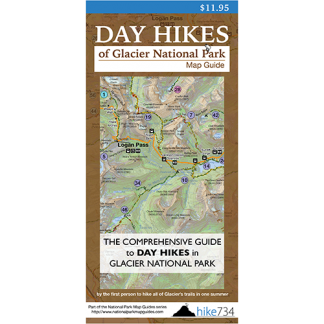 My day hike map for Glacier really struck a nerve and I sold so many, I decided to start working on other national parks. I now have maps for Zion National Park, Yellowstone National Park, and Grand Teton National Park with Yosemite National Park on the way. As I hike through these parks, I create video blogs to take you along so you can get the essence of a trail before you have your own experience. Visit the blog section for the sweet content. I also give presentations about my adventure. I’ve recorded my Hike 734 project presentation which is available on DVD and as a digital download. Find out more about it by visiting the Story page. The videos below were recorded as part of my project. The first is the intro video when I had a dream (and no idea what I was actually getting into). The second was recorded as I was walking out on the last day. Here’s the video I recorded on October 15th, 2011 as I was finishing up the project and greeted by family, friends and some press! Thank you so much for visiting my site! I hope you’re enjoying everything inside of here. I need to make sure that I share with you that you should assume that I am an affiliate for people and/or businesses who provide goods or services mentioned on this website and in the videos or audio unless otherwise stated. I may be compensated if you buy stuff from that provider. That said, your trust means the world to me and I don’t recommend things lightly and I try to show things as honestly as I can. I want to camp near Chief Mountain around 8-10 September (spirit quest). I don’t see a trail to that area. I know that the Blackfeet Nation controls access to much of that area. But it looks like you might get near there on the Slide Lake-Gable Pass trail system. I replied back to your email, but figured I’d also put this out here for others to see. Basically, you can do the road which the Park says is rutty and not awesome, or you can hike Lee Ridge. I say to hike Lee Ridge. You start out in lodgepole land for some time, but when you break through, it’s amazing! You have Chief Mountain (with Papoose and Ninaki on the ridge) to your left, Gable Mountain in front and the Belly River drainage with Mt. Cleveland and a host of others dominating the right hand side. Simply breathtaking. Also, get the National Geographic Trails Illustrated map of the park which I have linked on my site. It has the Lee Ridge trail. You can hike up from the Belly River Ranger station, but it’s a bruiser. Super, super steep and not as amazing as the Lee Ridge walk. They say they don’t maintain Lee Ridge, but it’s in way better shape than others I’ve been on. As far as camping, the trail’s a little steep down to Slide Lake, but I love it. Hit the trail in the evening when it’s shaded and you’re guaranteed to see pikas. I am awe as to what you are doing. Glacier is my favorite place on our planet. My husband and I have made some extraordinary hikes there. I am now fighting some debilitating cancer tx so cannot be there this year. I am so excited that you are taking the time and using your energy to do some documentation and then share it with those of us who are not able to be in the mountains. I am not sure how to twitter yet, but I definitely want to follow your trek. Lots of great motivating thoughts your way. Thanks for reading. Nice job on getting this project done, Jake. 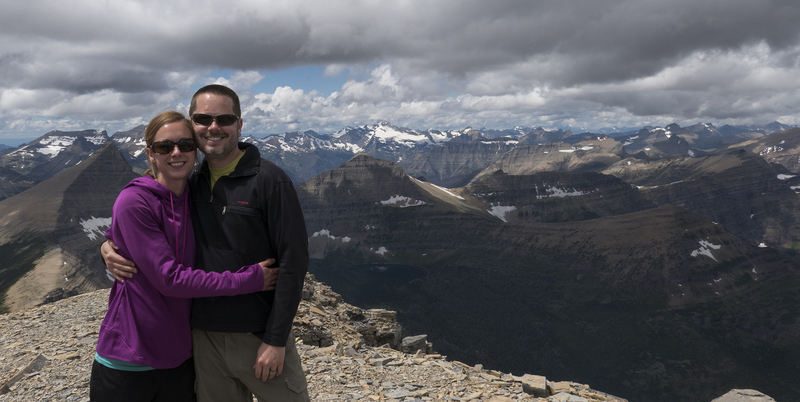 GNP is just about my favorite place in all the world and having hiked most of the trails there I think your dedication to your goal was very worthwhile. Thanks sam! I’m so blessed to have such a great opportunity! You are an inspiration to many. Your photographs are a rare treat. You have a unique eye and your perspective shows your individual personality and highlights the simple gifts in life and the amazing natural world! Congratulations for sticking with your goal and making it after this challenging spring’s weather. Can’t wait to see what you do next! Wow, thanks! I have a bunch of great stuff I was blessed to photograph. You spend enough time in Glacier and you can’t help but take stunning pictures/video. Stick around… more lies ahead for sure!